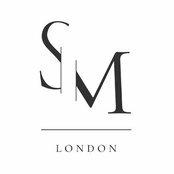 SM London was founded in 2009 by a young entrepreneur, whose early beginnings were as an upholsterer apprentice in his family business at the age of 13. As a trainee, he was able to master his skills in all areas of the furniture making process. He soon developed an unique eye for detail and a passion for quality and beauty. 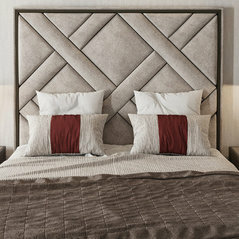 Once graduated from his studies, the founder worked for high-end upholstery workshops based in South America, Canada and United Kingdom – an excellent opportunity to learn different techniques and further develop his talent. Having gathered experience, knowledge and confidence, he could not wait to set up his own company using only the best manufacturing methodologies available within the market. 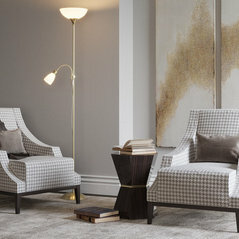 Since then, Sofa & More has rapidly gained an enviable reputation for its professionalism, quality and stunning design. We design all furniture in-house and our experts work to create and develop some of the highest quality luxury sofas you will ever find. 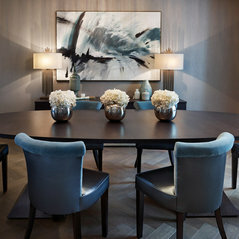 Our staff will carry out property access checks and measurement services to ensure bespoke pieces are made to measure. For customized items, clients have the option to order CAD technical drawings at an additional cost. Our robust frames are handcrafted using beech wood. The top quality hardwood is kiln-dried to ensure its longevity and resistance, then screwed and glued, meaning the frame retains its shape. Sofa & More carpenters are skilled craftsmen with a lifetime experience in furniture making. That is why we are both pleased and confident to provide our customers with a 10-year construction guarantee! The skilled Sofa & More upholsterers have a very keen eye for detail and talented hands to work with a variety of fabrics of different thicknesses, strengths and patterns. In fact, they were originally tailors who have been trained to further develop their abilities to perfection. My dealings with everyone at the company from sales through to delivery was extremely friendly, professional and efficient. My client is delighted with the sofa that was made to a bespoke size. Ramon has worked on several projects for me. Ramon is quick to understand exactly what's required and the results have been great. Sofa & More provide a very fast but faultless service. Excellent service and very helpful when needing more product information and samples. Samples arrived quickly and I found Nina a pleasure to speak to on the phone and through email.